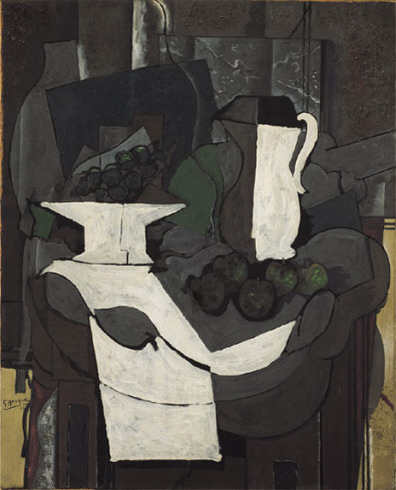 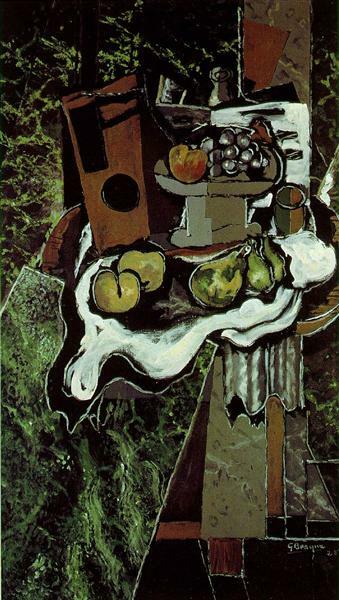 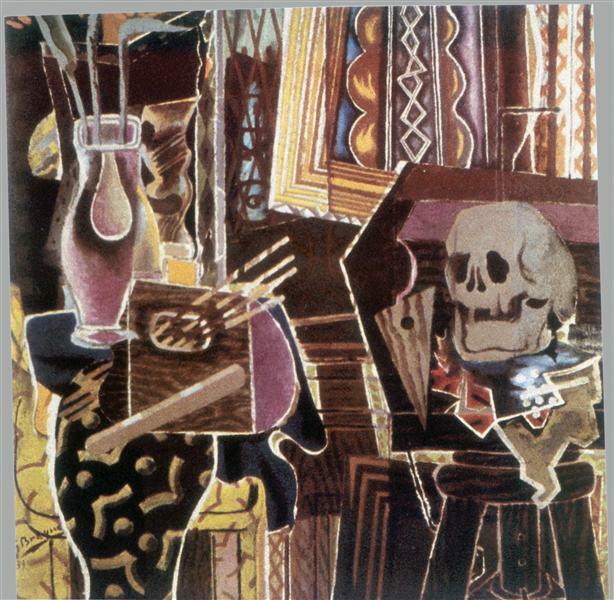 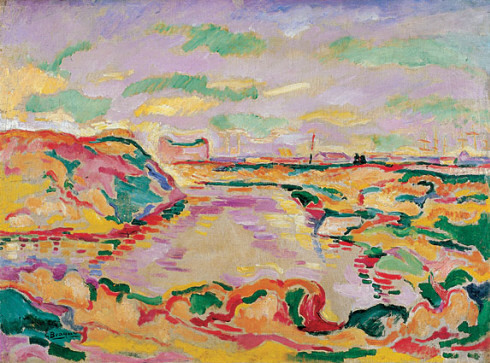 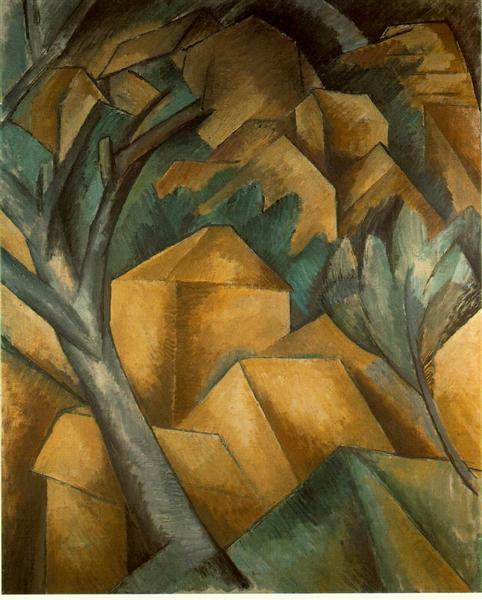 Collage helped Braque to realize that, "color acts simultaneously with form but has nothing to do with it,". 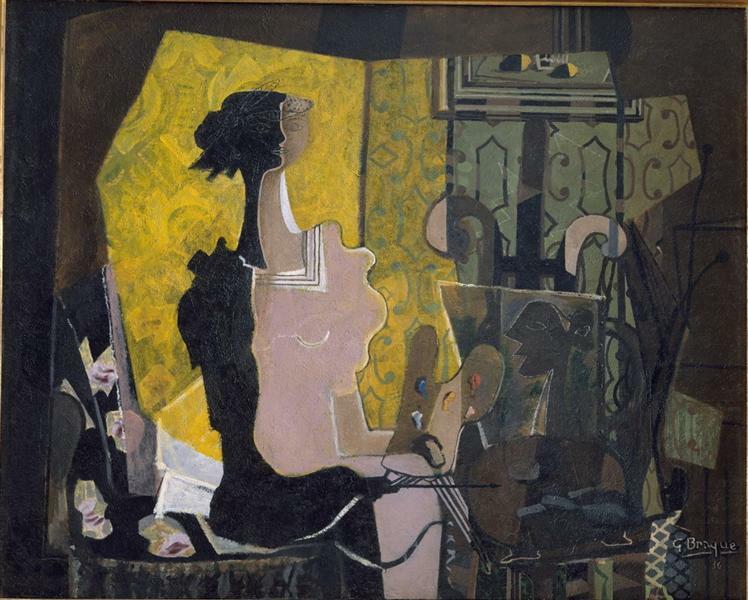 He made collages to inspire painting compositions, but also as works themselves. 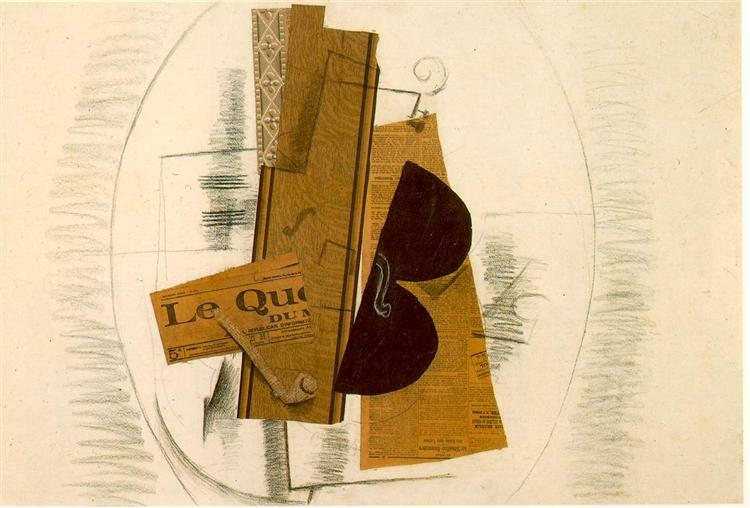 In Violin and Pipe, he chooses a stringed instrument as his subject matter. 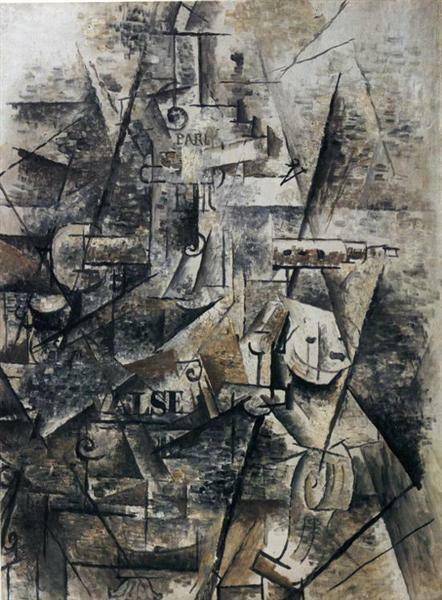 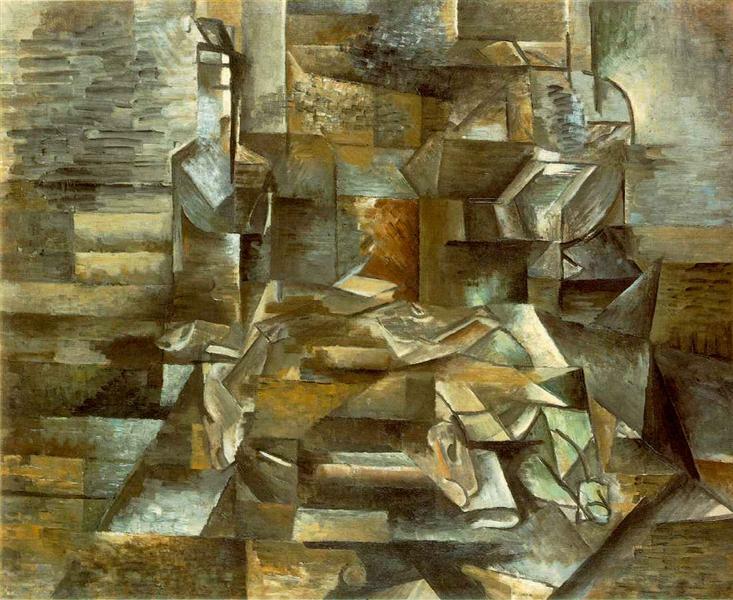 Since there is no concrete evidence that this is a violin, one can understand better how Braque is studying the shapes within the object and pulling them apart to move them around, as if shuffling a deck of cards.